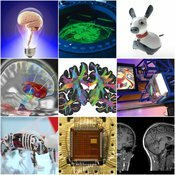 On March 22, 2018, the first HBP Innovation Forum will be held at the National History Museum in London. 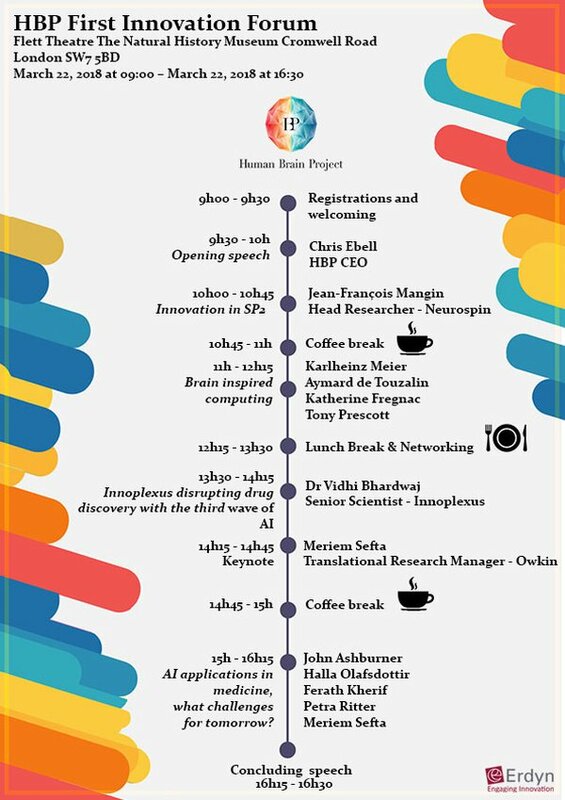 This day is an opportunity for researchers and industrials to meet and discuss exciting new projects on major topics such as artificial intelligence, brain inspired computing, data processing, neurosciences and brain related disorders. Few examples of HBP’s innovations are presented here: https://hbp-innovation.weapply.io/, a platform which will be enriched with time. And most importantly, networking times will allow free discussions, and we hope building of new partnerships. The full day 1 price is £150 includes lunch and coffee breaks. You can attend the second day (HBP innovation exhbition) for an additional £40. The event is organised by multiple HBP partners with leadership from the University of Sheffield, the University of Amsterdam and École Polytechnique Fédérale de Lausanne (EPFL), and by Erdyn, an innovation consultancy company. If you need any extra details about the event, the registration or if you would like to contribute as a speaker, feel free to reach out. Your contact is Shirihane Kouadri: shirihane.kouadri@erdyn.fr, who will be happy to help you.